Charlie and his family moved to the Lowcountry to enjoy a better quality of life after spending ten years working on Wall Street for Bear Stearns & Co. He became a golf professional and started his new career in Sea Pines on Hilton Head. 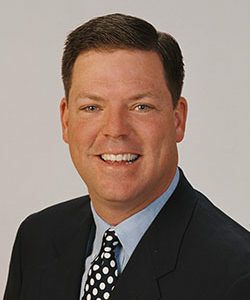 In 1996 his profession brought him to Beaufort where he became Director of Golf for the Fripp Company. Later he became the golf professional at Oldfield. Charlie has received many awards for his service and promotion of the game. When the profession required relocation out of the area, Charlie decided to stay, keeping his roots in Beaufort, and join his wife Beth selling real estate in 1994. His 13 years of real estate and his experience as both golf pro and Wall Street make Charlie a competent professional with all the business knowledge needed to assist a buyer or seller in making their important real estate decisions. Charlie will do all the research and follow-up necessary to help you sell or find your home in the Beaufort, HHI, and Bluffton areas. Beautiful wooded acreage, ready for a new home or mobile home. About 15 minutes from downtown, this property is in Zone C. 3 nice private acres. Utilities on the road.